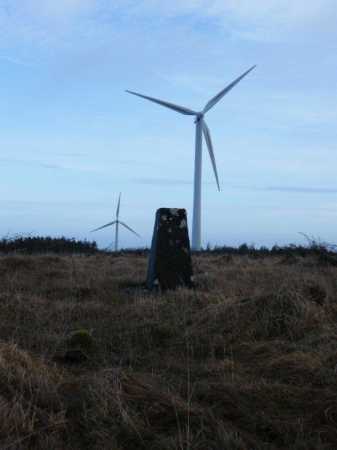 Cashlaundrumlahan is the highest point on the Galway side of Slieve Aughty, though Maghera in Clare is the culmination of this range. Cashlaundrumlahan is the 1036th highest place in Ireland. 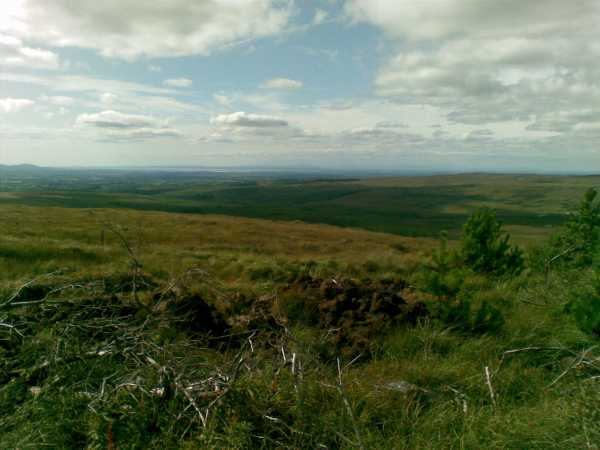 Cashlaundrumlahan is the most northerly summit in the Shannon area. Heading East on the R353 Gort to Portumna Road I turned left shortly after Derrybrien to a forestry entrance with tarmac road at GR M62332 06754 B. 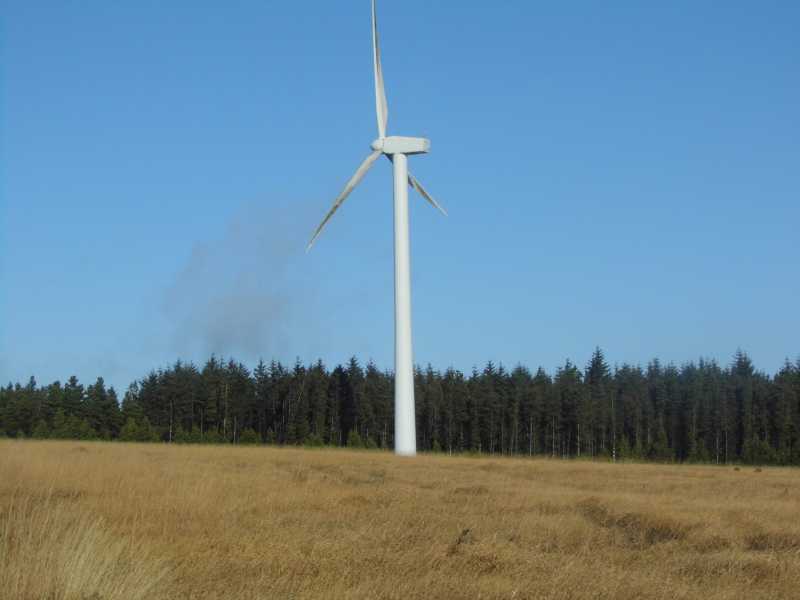 The barrier was open so I followed the road to the windfarm entrance. Unfortunately this was as far as I got. The gates were locked and No Trespassers wanted. 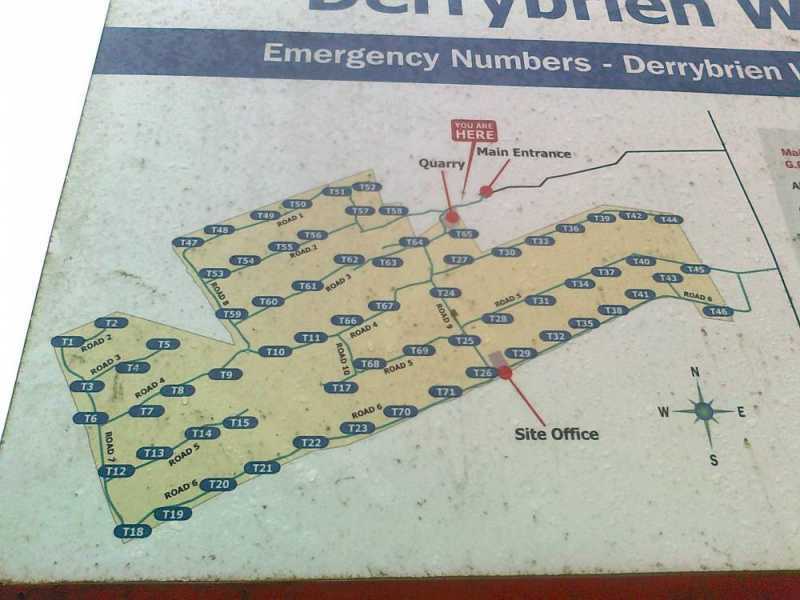 A map at the gate shows the location of the turbines which will be helpful if looking for the trig point hiding behind D61.